The Sport Newfoundland and Labrador Hall of Fame is designed to recognize, honour and pay tribute to all individuals, groups, associations, families or teams on the basis of playing ability, sportsmanship and character and who have achieved extra-ordinary distinction in any sport, whether that distinction be achieved in amateur and/or professional athletics. It recognizes, honours and pays tribute to those individuals, groups, associations or families who have given distinguished services and who have made a major contribution to the development and advancement of amateur sport in Newfoundland and Labrador. Lastly it encourages the development of all aspects of sport by permanently recording the achievements and history of such individuals, groups, associations, families or teams. Sport Newfoundland and Labrador administers the Newfoundland and Labrador Sports Hall of Fame. Each year the Selection Committee reviews all nominations on file and accepts 3-5 new members. 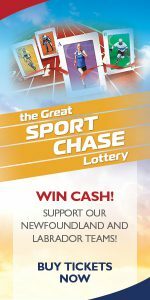 Nominations are accepted at the Sport Newfoundland and Labrador office at any time of year, but only those received by the middle of July will be considered for that years review. Nominations must be received at the office of Sport Newfoundland and Labrador before October 15 of each year. It is recommended that nominees collect as much information as possible prior to submitting a nomination. 11 individuals have been inducted into the SportNL Hall of Fame in the Athlete Category and 7 individuals have been inducted into the SportNL Hall of Fame in the Builder Category. Softball Newfoundland Labrador would like to thank SportNL for granting permission to use the SportNL Hall of Fame Inductees Bios for all of the Softballer’s that have been Inducted into the SportNL Hall of Fame. Len Beresford, born in St. Brendan’s, Bonavista Bay played in the St. John’s Senior Men’s Softball League for 18 years from 1971 to 1988. Len played 389 season games with a batting average of .331 and 101 playoff games with a batting average of .365. Like baseball’s Mr. October, Beresford was softball’s Mr. August. He won numerous individual titles including M.V.P., Batting champion, No. 1 in Hits, Runs Scored, Triples, Doubles and R.B.I.’s. As well as being named to All-star teams regularly and representing the province in eleven National Competitions, he always demonstrated sportsmanship on and off the field. That combination made Len Beresford a class act. One teammate of Beresford commented that, “Len is the best hitter in the history of Newfoundland Softball and probably among the top five in the country: I’m talking about power, average and in clutch situations.” Beresford’s statistics support these accolades. In 1974 Len was the first Newfoundlander selected to the All-Canadian team. In that same year he set a record at the Senior Nationals with three consecutive home runs in one game. Len put fear in all pitchers as he presently holds the single season batting average record of .494. In 1982 Beresford was honoured by the St. John’s Softball Association by being inducted into their Hall of Fame. Tonight we are pleased to welcome him into the Newfoundland and Labrador Sports Hall of Fame. Len Beresford was the first softball player to be elected to the Newfoundland and Labrador Sports Hall of Fame. A native of Fox Harbour, Placentia Bay, Marg starred in several sports including softball, field hockey, soccer, ice hockey and ball hockey. A member of 17 St. John’s League Championships and 15 Provincial Championship teams, Marg also played for 5 years with M.U.N. Varsity Field Hockey Teams and was named to the Canadian Intercollegiate Athletic Union All-Star Team in 1985. Marg has been the recipient of numerous individual awards including M.V.P.’s. She was a member of 34 teams which represented Newfoundland and Labrador in Canadian Women’s Play. A National Batting Champion, and selected All Star on a number of occasions, Marg played for Canada’s Silver Medal Team in the World Women’s Softball Championships in 1978 in El Salvador. In 1987, Marg was named the Best Female Softball Player in the province for the quarter century, (1963-1987). Chosen St. John’s Female Athlete of the Year on two occasions, she is a member of the St. John’s and Provincial Softball Hall of Fame. Marg’s accomplishments and examples encouraged young girls to become athletes, attracted expanded media attention and generally boosted female sports. Born in Manuels, NF Ford Metcalfe was the first national softball superstar from Newfoundland and Labrador. And although softball was his first and greatest love, he enjoyed an all-star career in hockey at the local and provincial levels. For a player who learned to pitch because no one else on his team could, Ford rose to the pinnacle of his sport in a career that spanned twelve years (1964-1976). A great softball pitcher who could also hit with the top batting stars of his era, Ford Metcalfe turned Conception Bay South into a serious contender for provincial honours, and played a major role in winning championships for and within the St. John’s Senior “A” men’s league. In provincial senior “A” softball Ford was a member of five championship teams and won the most valuable player award in 1965, 1969 and 1970. He represented Newfoundland and Labrador in Atlantic championships in 1970 and 1971, and was a member of four teams to represent this province in National senior men’s championships. Ford played in the first Canada Summer Games in Halifax in 1969 and was the first Newfoundland pitcher to defeat a team from British Columbia; a 5-3 win in which he also hit a three-run homer. He was named St. John’s Male Athlete of the Year in 1970 and shares a record for the most strike-outs in a seven inning game in the provincial qualifying championships. In a ten year hockey career which saw him win a junior league scoring championship in his rookie year, Ford went on to even greater heights as a member of the St. John’s Caps. Always among the top point getters, he saw a great deal of service killing penalties and on the power play. He was a vital factor for the Caps in winning three Herder Memorial trophies and three provincial senior hockey titles. Ford Metcalfe has been inducted into the Newfoundland and Labrador Softball Hall of Fame, the Conception Bay South Sports Hall of Fame and the St. John’s Softball Hall of Fame. Ross Crocker, a native of Hearts Delight, Trinity Bay can legitimately claim the title of most versatile player ever to play Canadian Men’s Softball. A career of over 26 years has brought him numerous awards and honours at the national, provincial and local level. While Ross’s many records and stats are too extensive to list here, some are of special mention. He represented our province 17 times in national competition and his all round ability was confirmed through winning MVP in 1973, Top Pitcher in 1976 and Top Batter and All-Star First Baseman in 1982. Ross is the only Newfoundlander to be named Senior National Male M.V.P. and also holds the enviable record of being the only Canadian to play at every position in national competition. At the provincial level, Ross had a remarkable career. He competed in 20 provincial championships winning 11 times. He was MVP and Top Batter twice. A special highlight of his provincial play came when he struck out 29 batters in a 17 inning game in 1976. At the local level, Ross excelled during his 25 years in the St. John’s Men’s A league. He played on 10 championship teams and was MVP 3 times, Play-off MVP 5 times, and top batter once. Ross currently holds league records in 9 different categories. It was no wonder that such a fine softball career led to Ross being named Softball Newfoundland and Labrador male player of its first 25 years and to his induction to the SNL Hall of Fame in 1997. There were few arguments as well when the Evening Telegram sports department named Ross the best male softball player in the history of our province. As a result of his softball achievements, as well as being a better than average bowler (238 avg.) and a good basketballer (he scored 86 points in one game), Ross was named Male Athlete of the Year for St. John’s on two occasions. In summary, Ross Crocker has been a credit to his family (wife Dianne and daughter Ashley), to his friends, to his province and most of all to himself. Even in his retirement, he continues to give back to sport by conducting numerous pitching clinics for youth throughout the province. Ross exemplifies how dedication, sportsmanship, talent and attitude can be combined to produce a remarkable Newfoundland athlete. Sport Newfoundland and Labrador is honoured to induct athlete Mr. Ross Crocker into the Newfoundland and Labrador Sports Hall of Fame. Rose Foley, a native of Fox Harbour, Newfoundland, had a career of unparalleled success. Her career spanned a quarter of a century and brought a commitment to excellence and strong sense of sportsmanship. She was the ultimate team player. “I am honoured to support the nomination of Rose Foley. As coach of the Memorial University Varsity Field Hockey Team and Newfoundland Field Hockey Team, I feel qualified to comment on Rose and her contribution as a team player. Her personality and sense of humour made her a very popular player. Her commitment to hard work never ceased. Rose had that special ability to make us all laugh, and to try harder, despite the odds. She was always the “Glue” that held the team together”. Her outstanding level of achievement and success at such a varied array of sporting activities shall be the high water mark and measure for future generations of athletes to aspire. The Newfoundland and Labrador Sports Hall of Fame is honoured to induct athlete Rose Foley as its newest member. Colleen Tapper is probably the most all round female sports figure in Newfoundland history. Colleen has been successful on the provincial level, she has competed nationally in ten different sports, and she was an all-star and outstanding competitor in every sport she participated in. Colleen has represented the province fourteen different times at the Canadian Senior Women’s Softball Championships and was selected to the all-star teams on two occasions. She played in two National Junior Championships and the 1977 Canada Summer Games. 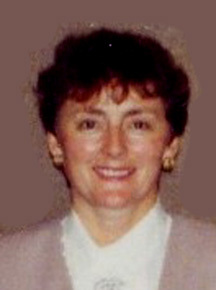 Colleen was manager of the 1981 junior provincial all-star team and she guided them to a third place finish at the nationals. She also coached the 1986 junior provincial all stars and the 1994 senior provincial all stars. In provincial softball, Colleen has played on eight championship teams between the years of 1975 and 1991. At this level, she has won twice the MVP award and the provincial Batting Title. Colleen played for ten seasons in the Newfoundland Women’s Hockey League and she was the league’s top scorer in nine of those seasons. Colleen captained her Torbay Chargers to ten straight league championships and some of her individual accomplishments include winning the MVP award seven times and representing Newfoundland at four different national tournaments. 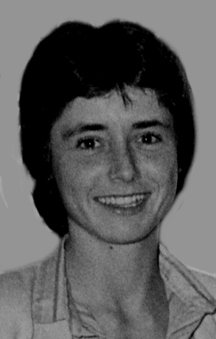 From 1976-1982, Colleen played soccer and her team won four St. John’s City titles and four provincial championships. During this time, Colleen amassed two St. John’s MVP awards and two provincial MVP awards. Colleen’s ball hockey career lasted from 1980-89 and she was a member of four city championship teams, two provincial champions and three provincial representatives at national competitions. One of these national entries won a silver medal in 1986 and Colleen was voted to the all-star team on two occasions. 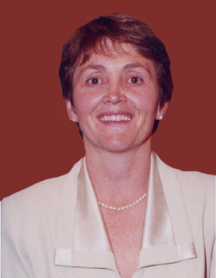 In field hockey, Colleen played for Memorial University’s varsity teams for five years and provincial all-star teams that participated in national competitions between 1978 and 1982. Colleen had success on the volleyball court when she played for Newfoundland and Labrador at the 1975 Canada Winter Games. Colleen has played squash since 1982 and she has won 11 St. John’s titles, five provincial titles, played in the Atlantic Championships ten times and has represented Newfoundland at one National Championship. Colleen has also competed in two national fitness competitions. Her induction into the Canadian Softball Hall of Fame, the Newfoundland and Labrador Softball Hall of Fame and the British Columbia Softball Hall of Fame is a clear demonstration of the great respect that this great athlete has earned. She was a valuable member of five teams that won the Canadian senior female softball championship, a member of nine teams that won provincial senior female softball championships and a member of seven teams that won senior female league championships. At the 1980 Canadian Senior Female championships in Hull, Quebec, as a member of the Newfoundland and Labrador representatives, she recorded the first “perfect game” in a Canadian championship. Having 21 straight outs, she included 16 strikeouts, nine consecutively at one point. She set three national records and was named MVP, top pitcher and all-star pitcher. She was 13 when she first attracted attention when she was selected as the Most Valuable Player in the 1971 Newfoundland and Labrador Championships. In 1976 she moved to St. John’s and dominated pitching in the best female league east of Ontario. She recorded nine no-hitters between 1976 and 1980 and led her team to three St. John’s titles and four provincial titles. Her first national appearance came at the 1973 Canada Summer Games in Burnaby, B.C. and was followed by strong pitching at the 1974 national senior championships. She played in the national junior championships in 1975 and 1976 and at the 1977 Canada Summer Games in St. John’s. She continued to star for Newfoundland and Labrador All-Star Teams in 1978, 1979 and 1980 and stood out for B.C. teams from 1981 to 1988 when shoulder problems forced her to retire from softball. During that period, playing against the best teams in Canada, the United States, New Zealand, Japan, China, Australia, Taiwan and other countries, she posted 222 wins against only 35 losses. In 11 games she did not allow a base runner as she had an ERA of 0.254 after facing 5,295 batters. In addition to softball, she was a perennial all-star soccer player. From her backfield position she played important roles in the amazing success of the team with which she played in 1976, 1977 and 1978. She played varsity basketball at Memorial University and within the very competitive St. John’s “A” League, more than holding her own. Patty is employed by Canada Post and resides in Burnaby, British Columbia. Patrick G. Kelly has been established as one of the best softball players at the local, provincial and national level from Newfoundland and Labrador. 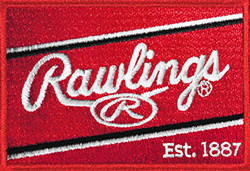 The All Star first baseman and pitcher competed for 16 years gaining numerous personal and team successes throughout. Pat attended ten Senior National Men’s Championships representing Newfoundland and Labrador and was named All-Star first baseman in 1976. He pitched the first no hitter by team NL in a National Senior Men’s championship in 1975 and was inducted into the St. John’s Softball Hall of Fame. 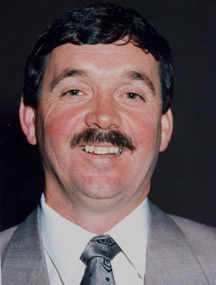 With his team, Pat won the 1988 Eastern Canadian Senior Men’s “B” Championship and has won ten Provincial Championships at both the junior and senior level, while also winning four MVP awards and three Batting Titles throughout. Locally, between 1974 and 1981, Pat achieved nine individual awards including a batting crown, earned run average title and All-Star pitcher. Pat Kelly is described as a gifted athlete, with outstanding talent and ability. He supported these qualities with impressive personal confidence and an extremely powerful desire to succeed. And, succeed he did, at every level of competition in which he was involved. Always willing to make sacrifices and equally willing to learn and improve, he ranked highly with any softball player ever developed in Newfoundland and Labrador and earned exceptional personal respect nationally. Pat Kelly was simply a great softball player, when he was pitching or when he was hitting. His leadership qualities and determined character were other assets that were extremely beneficial to his career and to any team of which he was a member. Growing up in the exceptional softball atmosphere of Fox Harbour, Placentia Bay, he quickly developed the talent and character that would earn him a place among the athletic elite of the province. Outer Cove athlete Debby Power had an outstanding athletic career in softball, ball hockey and ice hockey. Debby’s exceptional pitching and batting ability on the softball field led to many awards and accomplishments throughout her years of competition. Debby represented Newfoundland and Labrador at thirteen national softball championships; however, the 1981 and1982 championships proved to be her most successful. Following her team’s 1981 bronze medal win at the Canadian Junior Softball Championship Debby was invited to a national team tryout camp. At the 1982 Canadian National Softball Championship she won the batting title with a .600 batting average, was voted MVP and set a record for most runs batted in during one game with eleven. 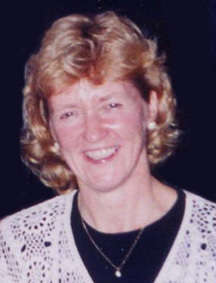 Throughout her athletic career Debby was a member of nine championship teams, she won 69 individual awards from local to national competition including six batting titles and thirteen MVP awards, was named provincial softball female player of the year three times, won the 1982 St. John’s Female Athlete of the Year (Tom Dynamite Dunne Memorial Award), was selected as the provincial Elizabeth Swan Senior Female Athlete of the Year in 1982, and in 2002 she was inducted into the Softball Newfoundland and Labrador Hall of Fame. Over the course of Debby’s ball hockey career from 1981 to 1997 she won one silver and two bronze medals in national championship play. At the provincial level, Debby led her teams to fourteen championships and was voted top defensive player eleven times. Locally she won ten championships, was voted MVP three times and Top Defensive Player twelve times. In the Newfoundland Women’s (Ice) Hockey League, Debby won the scoring title once and was assistant captain for Team Newfoundland and Labrador at the 1984 and the 1985 Canadian championships. In both of these competitions she was one of the top three performers on her team. 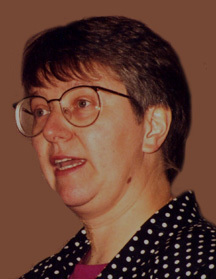 In recognition of her hockey achievements Debby was inducted into the Newfoundland and Labrador Hockey Hall of Fame in 2005. Throughout her athletic career Debby Power has always demonstrated great sportsmanship, a dedicated willingness to work for all the sports with which she has been involved and her athletic skill, hard work and ability have gained her success in her athletic endeavours. Colin Abbott may very well go down in history as Newfoundland and Labrador’s most accomplished Softball player. Colin is recognized in the Softball community as one of the most feared hitters in the game and his 28-year Softball career led him to many accomplishments on the field from local to international play. From 1989 − 2009, Colin represented Canada 15 times, winning 2 gold medals, 2 silver medals and 1 bronze medal at the International Softball Federation (ISF) World Championships and Pan Am Championships. From 1992 − 2009 he participated in 18 International Softball Congress (ISC) Championships, winning 3 gold and 3 silver medals. From 1994 − 2009 he competed in numerous American Softball Association (ASA) Championships winning 2 gold and 2 silver medals. Representing Newfoundland and Labrador provincially, Colin competed 11 times at the Senior Men’s Canadian Fastpitch Championships, capturing 1 gold, 2 silver and 2 bronze medals. He also won 3 gold medals representing three other provinces at the Canadian Fastpitch Nationals. During his junior years he won 2 gold medals at the Junior Men’s Canadian Fastpitch Championships, 1 gold medal at the Midget Boys Canadian Fastpitch Championship and the Eastern Canadian Softball Championships. Colin was also a member of the provincial Softball team that represented Newfoundland and Labrador at the 1989 Canada Summer Games. Locally, Colin had seventeen years of competition in the St. John’s Senior Men’s Softball League from 1985 − 2012 and in 2012 was co-winner of Softball Newfoundland and Labrador’s Most Outstanding Player Award. Overall, Abbott has achieved 16 International Championship and 13 National Championship medals. In international play he captured 3 MVP Awards, 1 Top Batter award, and was an All-World Selection as an outfielder 15 times. Nationally, he received 2 Top Batter awards and 6 All−Tournament Team Selections as an outfielder and 2 MVP awards. He has been a great ambassador for the game through his leadership, success and competition diversity and has paved the way for future Softball players in this province. Colin Abbott’s statistics, team and individual success in the sport of Softball speak to his induction into the Newfoundland and Labrador Sports Hall of Fame. Fox Harbour, Placentia Bay native Bill Davis ranks within the finest Canadian softball players with a 22-year career that overflowed with personal and team success. For seventeen seasons, from 1977 – 1995, Davis played in the St. John’s Senior Softball League where he claimed 47 individual awards including six MVP selections, seven all star selections, one batting title, three slugging titles, one most runs scored, three most doubles, four most home runs, one most RBI’s, seven pitching titles, four most strikeouts, three top ERA and seven shutout titles, in addition to holding six league records. He was a member of three teams that represented Newfoundland and Labrador at the National Junior Championships where he was selected as an All Star in 1978. His Eastern Canadian career measured much success as a member of the gold medal team in 1986 where he was selected MVP and top pitcher. He won a bronze and silver medal between 1989 and 1995 at the National Senior Championships, where he tallied 81 games played, 35 hits, 3 home runs, 22 RBI’s, while winning 16 pitched games, with one shut out, 168 strikeouts and a 2.21 ERA. He was also MVP of the 1992 Fredericton Classic, a member of Team Atlantic at the 1992 International Softball Congress (ISC) Championships in Salt Lake City and top pitcher at the 1994 ISC qualifier. 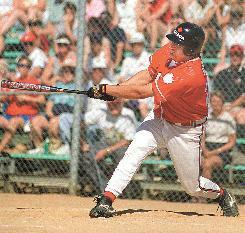 Provincially, he was a member of eight Newfoundland and Labrador Senior Men’s Championship Teams, winning four MVP’s, while in his junior year claimed the provincial title of the Newfoundland and Labrador Junior Male Championships, won the junior batting title, provincial Junior MVP, provincial bantam MVP and batting title. Nationally, Davis was a member of 14 teams that represented Newfoundland and Labrador at the Canadian Senior Men’s Championships. As a pitcher, Bill Davis owned the mound with an impressive 342 games pitched, 193 games won, a regular season 1.66 earned run average and a playoff 2.51 earned run average while posting 2208 strikeouts and one no hitter. Davis is a member of the Softball Newfoundland Labrador Hall of Fame and was a player known for his great personal talent, skill and amazing desire to win. Don Johnson’s main contribution to sport in Newfoundland has been on the hockey scene but he has also played major roles in softball, sailing, youth bowling and the Newfoundland and Labrador Amateur Sports Federation since he came here from Halifax in 1959. A fine defenceman in his hockey playing days, Johnson moved to the administration aspect of hockey in 1963. He served as president of the St. John’s league, was provincial hockey president starting in 1965 and finally was elected president of the Canadian Amateur Hockey Association in 1975. His contribution to hockey has stretched from the local league all the way to the international scene at the World Hockey Championships. Johnson’s contribution to softball on the local and provincial level was recognized by an honorary life membership in Softball Newfoundland. He is past commodore of the Terra Nova Yacht Club and was Newfoundland’s representative on the board of governors of the National Youth Bowling Council of Canada. He also served as the first treasurer of the Newfoundland Amateur Sports Federation when that body was founded in 1971. Denis (Dee) Murphy was born and resides in St. John’s. He was the initial president of softball in the province, serving as the top man provincially for 13 years. During that time he was responsible for the establishment of many softball leagues and has been made an honorary life member of many softball organizations including Softball Newfoundland. He is a member of the Newfoundland Softball Hall of Fame. At the national level, he was elected a chartered vice-president of Softball Canada during its founding meeting in 1965 and served as a national vice-president for seven years. He is one of only five people who have been voted honorary life membership in the national softball organization, having twice represented Canada at international meetings, been national chairman for the softball competition at the 1977 Canada Summer Games as well as conducting three other national championships. He coached Newfoundland teams in seven national championships, and has won numerous local and provincial titles. In addition to his softball service, Murphy has been an executive member of the local, provincial and/or national organizations for baseball, bowling, soccer, minor and intermediate hockey, table tennis, darts and broomball. He has been chairman of the St. John’s Athlete of the Year Committee for 23 years, was Newfoundland’s representative on the National Advisory Council for Fitness and Amateur Sport for three years, chairman for the sports activity of the Irish Christian Brothers Centennial celebrations and 1975 provincial sports executive of the year. He is married to the former Bette Tricco and they have six children. Terry Trainor was born in St. John’s in 1923 and owns a sports career that spans more than 50 years. It includes at least eight different sports as a builder and an athlete. He recently retired from the Provincial Government. His hockey career began as a player for St. Bon’s with seven Herder Memorial Trophy Provincial Titles to his credit. He coached and refereed for 14 years and served as St. John’s League president for five years. He served as general manager of the St. John’s Team in provincial senior play from 1972 to ’87, managed Newfoundland Teams at Canada Games in ’71 and ’75, served two years as provincial junior hockey vice-president and filled numerous other hockey positions. 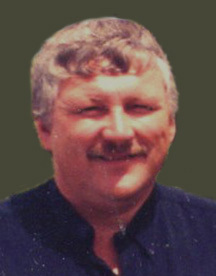 A member of the Provincial and St. John’s Softball Hall of Fame, he was president for ten years and treasurer for four years of the St. John’s Men’s League, served as provincial secretary, was named Provincial Softball Executive of the Year for ’81 and acted as general manager for six Newfoundland Teams in Canadian Championships. He was Chairman of the St. John’s Junior baseball league for six years, served as provincial secretary-treasurer, umpired and was inducted into the St. John’s Baseball Hall of Fame in 1985. He was awarded the Pitcher Plant Award by the Provincial Parks and Recreation Association in 1981 for his service to Municipal Recreation. He also worked on various St. John’s Memorial Stadium Committees, was honored by the Boy Scouts, was a member of three cup winning soccer teams in the 1940′s, bowled, played basketball, competed in track and field and was deeply involved in a wide range of sports and community organizations. Duey Fitzgerald has had an outstanding career in three sports, Baseball, Softball and Bowling, and has been honoured by all. Duey first coached the Holy Cross Senior Baseball squad in 1957 and from there went on to coach St. John’s in the Provincial Baseball Championships in 1958, 1959, 1963 and 1969. He also coached softball during this time and in 1971-72 served as the Provincial Coach for Softball Newfoundland. Duey began umpiring baseball in 1964 and continued to do so until 1968 when he devoted his time towards softball. He was the founder of the St. John’s Metro Softball Umpire’s Association in 1971 and served as the Provincial Softball Umpire-in-Chief from 1969 to 1975. Duey took part in his first national event as an umpire in 1966 for the Baseball National Junior Men’s Championship and he performed similar duties for softball in 1973, 1977 and 1978. Duey retired from umpiring in 1988 but continues to serve softball by calling the game behind a microphone as a commentator for Cable Nine in St. John’s. Duey was inducted into the St. John’s Softball Hall of Fame in 1975 and the Newfoundland Softball Hall of Fame in 1985. Baseball honoured Duey by electing him into the St. John’s Hall of Fame in 1984 and the Newfoundland Hall of Fame in 1987. In 1986 Duey was elected into the Newfoundland Bowling Hall of Fame. On the National scene Duey was elected to the Canadian Softball Hall of Fame in 1991. Tonight Duey Fitzgerald is being inducted into the Newfoundland and Labrador Sports Hall of Fame. It is his seventh Hall of Fame – a milestone no other Newfoundlander has achieved. Vince Withers, Carbonear native has been instrumental over the years in the development of Softball, Curling, Sport Newfoundland and Labrador and the Newfoundland and Labrador Sports Hall of Fame. 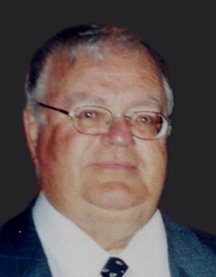 Vince was co-founder of Softball Newfoundland and Labrador, a member of the organizing committees that founded the St. John’s Senior A Softball League and St. John’s Metro Umpires Association and in 1972, he served as President of the local Senior Men’s League. He was President of Umpires for 10 years. 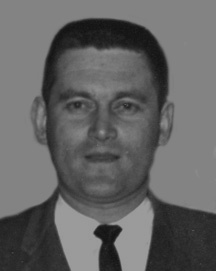 Vince was appointed the first Softball Canada Commissioner for Newfoundland, and in 1972, he was the first Newfoundland umpire to officiate at a National Championship. He has acted as General Chairman for five National Softball Championships: 1979 Senior Men’s, 1982 Senior Ladies, 1986 Junior Men’s, 1988 Senior Ladies and 1989 Senior Men’s. Vince was also General Chairman for the 1994 World Women’s Championships in St. John’s, a pre-Olympic qualifier for the 1996 Olympics. He was instrumental in the construction of the Caribou Softball Complex to host the World event. 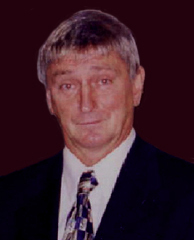 Vince was inducted in Softball Newfoundland and Labrador Hall of Fame in 1972 and Softball Canada Hall of Fame in 1990 in the Builder category. 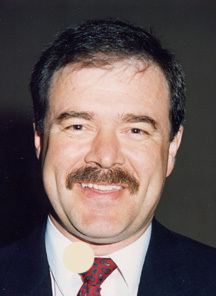 Over the ten year period from 1980-1989, Vince held many Executive positions with the St. John’s Curling Club. He was President in 1985 and made major contributions to the development of curling. 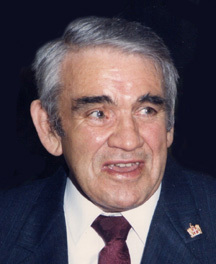 Vince served as Chairman of the Provincial Sports Hall of Fame Board of Governors from 1988 – 1992 and was Chairman of the Selection Committee in 1986. The contribution of countless hours within the sporting population shows great honour, dignity, and leadership. Fred Jackson has made a significant contribution to the sport of softball as an athlete, coach, administrator and volunteer at the local, provincial and national levels. In 1991, the year he retired from the game of softball because of a career move and starting a family, Fred became the first Newfoundlander to win Softball Canada’s Coach of the Year Award. At the national level, he has coached nine national championships and has won five medals along with a fourth place finish at the 1989 Canada Summer Games. In the nine national championships, Fred posted an outstanding 60 wins and 23 losses. Provincially, he has coached teams to 21 provincial championships and has won a championship in every minor and junior softball category. At the age of 14 he started a minor softball program with just three teams. This program eventually grew to comprise over 500 players and became known as the Higher Levels Minor Softball Association and included the construction of three softball fields. Throughout his coaching career Fred has coached some of the best softball players to ever come out of Newfoundland and Labrador. He has chaired organizing committees for ten provincial championships as well as an Eastern Canadian Championship. In 1986, he became the youngest person to be inducted into the St. John’s Softball Hall of Fame. He has many more accolades to his credit including Softball Newfoundland and Labrador Minor Executive of the Year along with an induction into the Softball Newfoundland and Labrador Hall of Fame. He has also made a tremendous contribution to the promotion of sport in the province as a volunteer, sports reporter and sports editor. Fred currently resides in Sydney with his wife Beatrice and their five daughters. Bill Barron has been involved with Softball in the province of Newfoundland and Labrador since 1957. While he has excelled as a player in the St. John’s Senior Softball League for ten years, he was an umpire for twelve, he coached for six, was an executive member of Softball Newfoundland and Labrador for eleven and is presently an executive official of the St. John’s Senior Softball League, where he has served for the past forty five years. 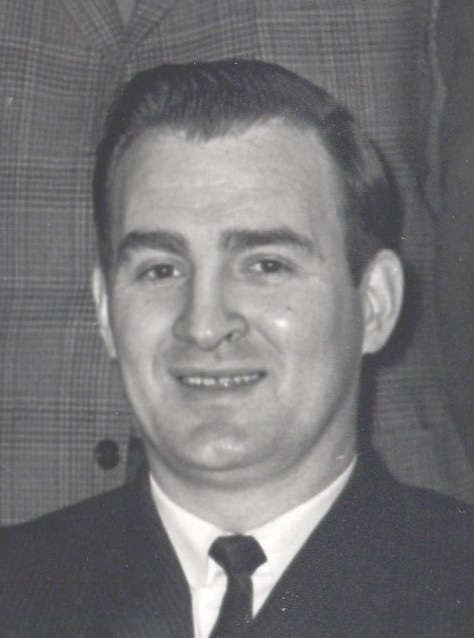 Bill Barron was named Softball Newfoundland and Labrador Executive of the Year in 1967 and again in 1998, following an outstanding coaching career, leading the St. John’s Senior Men’s team to a provincial championship in 1967 and managing the Newfoundland Senior Men’s Team at the National Championships in 1972. Bill is known by all in the Softball community as an outstanding organizer for National and Provincial tournaments at both the junior and senior levels and was inducted into the Newfoundland and Labrador Provincial Softball Hall of Fame in 1981. Among all of Bill’s accomplishments, softball enthusiasts believe it is because of his dedication and value for the game, that fast pitch softball exists in Newfoundland to date. He currently operates the only two fast pitch softball leagues in this province, which are the St. John’s Senior and Intermediate leagues. Three years ago, Bill Barron started the St. John’s Intermediate Softball league to remedy the issue of minor age players not having the opportunity to play at the junior age group, which was compromising the talent and passion of these younger players. Not only has Bill been a devoted player, coach, umpire, organizer and executive, he has also been a fan, and created an archive of fast pitch softball in Newfoundland and Labrador from past to present years. This archive consists of individual stats and newspaper clippings from each year of softball in this Province and provided the St. John’s Senior League with all yearly statistics, batting and pitching averages for the fiftieth year celebration ceremony. For his simple passion and love for the game, Bill Barron is unselfishly and undoubtedly known to Softball enthusiasts as “Mr. Softball”.